Nouveau numéro de la revue Lifestyle, Au revoir 2017, Bienvenue aux tendances 2018 !!! If we review 2017 for PORCELANOSA Group, one of the most important milestones was the consolidation of the main international markets, and the multitude of projects carried out at a global level. 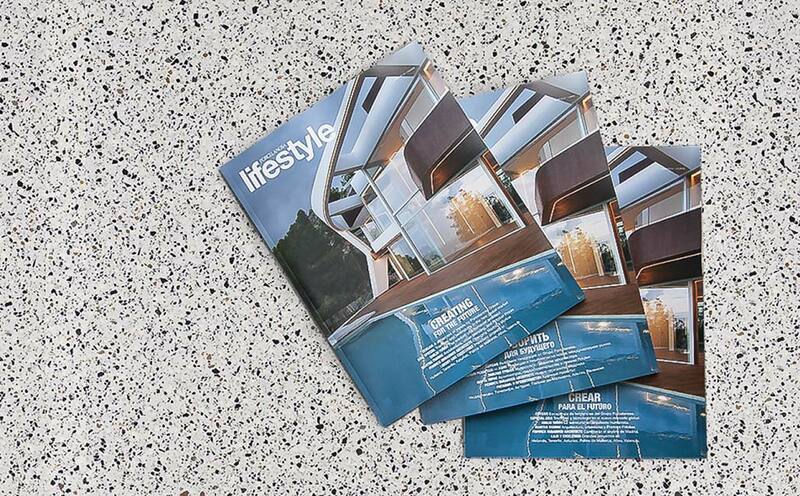 All of this, and new trends for 2018 are analysed in the new issue 31 of the Lifestyle magazine from Porcelanosa. The opening of the new store in New Delhi (India), entry into the Sydney market (Australia), interviews with the award-winning architect Emilio Tuñón and the prestigious Martha Thorne, as well as many other interesting articles are presented alongside the new products of the eight firms of the Group at the main trade fair, CERSAIE, and a wide variety of projects in which we can find the Solid Surface from PORCELANOSA Group, KRION. Due to our close relationship, we would also like to highlight the new Villarreal C.F. football club installations, the infrastructural development with which the club joins one of the great teams of Europe.